Mr. Fava, you have a famous surname: 80 years of entrepreneurial history, spanning three generations. Moreover, in the province of Ferrara which is not an important industrial area. How do you explain that? «We are based in Cento, which is in the province of Ferrara, but culturally and economically, it is linked much more closely to Bologna or Modena. Here there is a very strong tradition of mechanical engineering: Think of VM (now FCA), ex Lamborghini and Fava itself, that are just a stone’s throw away». Even in the rest of Emilia-Romagna however, there are not many family businesses that have remained at the forefront for almost a century. Have you been lucky or were you far-sighted? Luck is always useful and it has been on our side because we have always found someone within the family that had the passion and skills to drive our businesses. Nevertheless, we have also worked hard to avoid the classic succession crises. At the beginning of the twentieth century, we experienced the so-called "generational change" effects and the inheriting partners had become very numerous. Therefore, my father Enrico, my brother Luigi and I decided to initiate a share restructuring plan by creating a holding company, Relfin, and liquidating part of the family partners through a family buy-out. In this way, we took control of the companies and this operation is still in progress. It has been and still is an enormous financial commitment for us; but in the end we have brought back stability, provided clarity as regards points of reference and given continuity to the management of the Group». Then the recession came along. How did you overcome it? With hard work, product innovation, process innovation and internationalization. Before the economic crisis, Baltur’s turnover was 70% from the domestic market and 30% from the international market. Today, these proportions have been reversed. We export over 70%, especially to China where we are among the market leaders. In the past we also assessed the possibility of manufacturing there, but in the end we decided that Baltur should remain a truly made in Italy company». Was this another stroke of luck? «Well no. 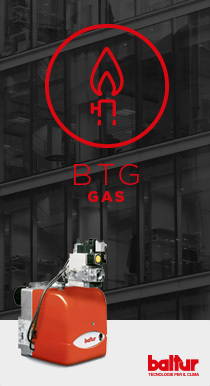 Burners may seem simple machines but actually they’re not, and increasingly stringent energy saving, safety, atmospheric and noise pollution standards force us to invest continuously in innovation. In short, we worked hard to achieve the excellent performance abroad, competing in the field against major Italian competitors such as Riello and Ariston Thermo and also the German / North European giants who are the market leaders». How do you compete with the powerful Germany industry? «With flexibility. We are able to provide customised products, have more flexible delivery times, are better at providing a customised service and always take the utmost care in terms of product design as well as functionality. Their large size is their strength, but also their weakness because it forces them to have a complex organization, which makes them inflexible». So growth is not your primary aim? «It’s impossible for it not to be. Last year Baltur grew by 10%, with a constant EBIT of around 9%; also this year we are aiming for a +15/20% of turnover. We are a very solid and profitable business: there is no need for us to rush. We prefer a structural growth, through our own efforts and internal lines, nibbling away at the market share of our competitors through quality and innovation. Does that mean you are not interested in acquisitions? Forward-looking with judgement. But don’t you have a secret dream? «We have many projects, yes. We are renewing the entire product range and that in itself involves a systematic investment in research and development, which amounts to 4-5% of turnover. This year we will also extend our research and testing laboratory with an additional investment of 5 million Euros. It will be one of the largest and most advanced laboratories in the world. Over the next two to three years, we will revolutionise the entire production process according to Industry 4.0 criteria with robotic assembly lines, the digitalisation of all company functions and intelligent machines that can interact both with each other and with people. Even the products will become more intelligent, we will be able to monitor and manage them remotely at our customer sites all over the world». Does Fava Spa not even deserve a mention? After all, it is the entrepreneurial core of your family. «My father and brother share the family responsibilities for Fava Spa, even if as the CEO of Relfin holding I can obviously cannot not take an interest in it. 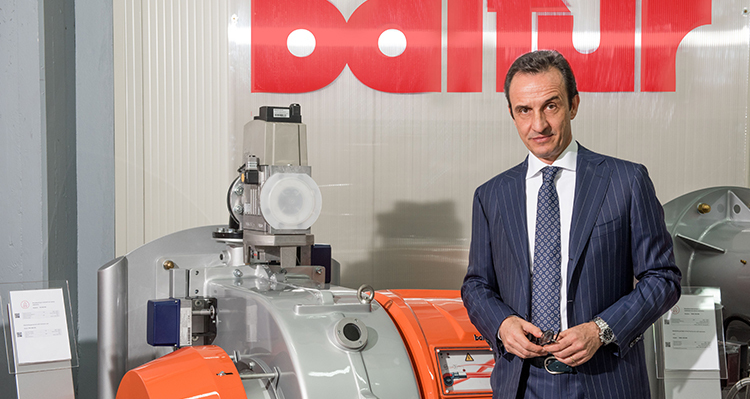 But while Baltur is an emerging medium sized company, Fava has been a leading company for decades, accounting for 40% of the world market for pasta making plants. Even there, it is essential to innovate to stay ahead, but for that there is my father, who is a genius with regards to the techniques used in this sector and my brother who is an excellent CEO». You are both the CEO and general manager of Baltur. Have you ever thought about implementing a management structure? «Yes, of course we have. In the 2000s, I created an excellent management team that works together with me and that is responsible for the key functions of the company». And if the business were not to be passed on within the family? «I am 54 years old and my brother is 56: I think there is still time to see if there is someone with an entrepreneurial spirit among my two children and his two, all of which are still very young. If the business was not going to be passed on within the family I think we should seriously think about stepping aside and choose a buyer who can guarantee the continuity of the companies and work for the employees». You used to be the president of the Industrialists Association of Ferrara. Do you have any regrets or second thoughts about it? «I have one regret: to have been president during the worst years of the crisis that caused immeasurable damage to the Ferrara area. We must not also forget the earthquake in 2012 and the regretful business of CARIFE, which was the most important bank in the area. However, I have no regrets about my position in the association. It was a useful and formative experience but also a considerable commitment and as they say, I have already done my bit. Now there will be the large unification of the areas of Ferrara, Modena and Bologna, which I started as a project with my friends and colleagues Alberto Vacchi and Pietro Ferrari. I am convinced that this will be a great opportunity for businesses in the Ferrara area».